The Charity Retail Awards returns to Colwick Hall, Nottingham on Tuesday 25 June 2019 as part of our annual conference and exhibition. Leading waste consultants 1st Waste Management are title sponsor of the 2019 Charity Retail Awards. The event celebrates excellence, and recognises the achievements of the charity retail sector in the United Kingdom. The awards enter their 13th year and go from strength to strength, with a record amount of nominations received last year. The Greenest Charity Retailer of the Year Award has been re-introduced, with charity retailers up and down the country invited to submit their green credentials to the Awards judging panel. In addition, the nomination criteria surrounding both Volunteer and Young Volunteer awards has been loosened to encourage an even wider field of entries. 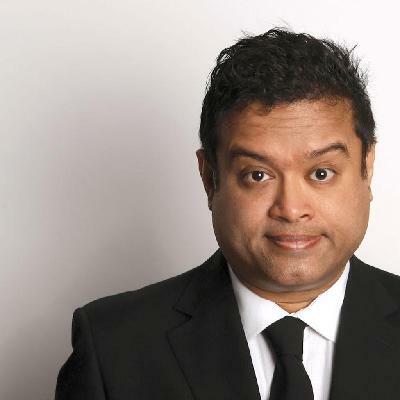 The 2019 Charity Retail Awards is hosted by Paul Sinha, a comedian, published writer, former doctor and well-known TV personality. He appears as a ‘chaser’ on ITV’s popular quiz show The Chase (where Paul is known as ‘The Sinnerman’). An Edinburgh comedy award nominee, he is frequently heard on Radio 4 and 5Live displaying his knowledge, passion and wit on current affairs and sport (especially cricket and football) along with everything else. For full details on how to make a nomination for any of this year’s free-to-enter awards, please visit our 2019 Charity Retail Awards nominations page. Please note: nominations have now closed except for our three Supplier of the Year Awards. Online booking for our 2019 conference, exhibition and awards is now open. Download our 2019 Charity Retail Awards brochure (pdf format) for full details of the awards evening. Tickets for our 2019 conference and awards are now on sale.